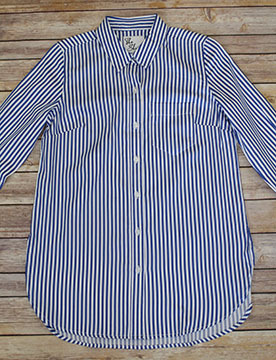 Tribal True Blue Stripe Roll Up Sleeve Shirt With One Front Pocket. 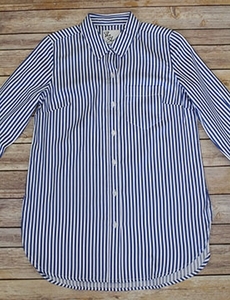 Fabric 90% Cotton & 2% Spandex. Hand Wash Cold.